2018 was unusual year, as I feel something has changed. Unlike in previous years, which were mostly all the same, bare from occasional musical enterprises. A bit late this year, but it’s here – as ever since 2006. Do the maths! Okay, let’s keep it up! 17 tracks in just 76 minutes is kind of kickass. I figured out how to use ambiguous function “master tempo” to mix all the tracks in key, as I like. XDJ-RX algorithm feels really good and doesn’t distort tracks like Ableton does. Now it’s time to conquer the world. Since 2006 I hosted 3 radioshows and recorded almost 300 mixes. However, it’s the first time that I have my own DJ gear. At least now I know how to use it. This is latest model with a number of features, so will serve me well for years. Expect a plenty of mixes in the following days, recorded on this beauty. 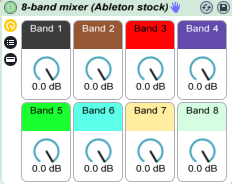 Thanks to Septr from Ableton forum I was able to construct perfectly transparent 8-band DJ mixer out of stock Ableton plugins. It’s very simple to use and minimal on CPU. Also, it’s free. What more could one ask for? Of course it may work different for your mixing style, different music genre or specific material. But most certainly it will work. Please do not re-upload this rack, always link to my blog. It’s the first episode I recorded with new mixer setup. It’s so good I can pretty much mix a set blindly, without listening to it. Feels like cheating. Still, there is no reason not to use advantages of modern technology, especially when I design them on my own. 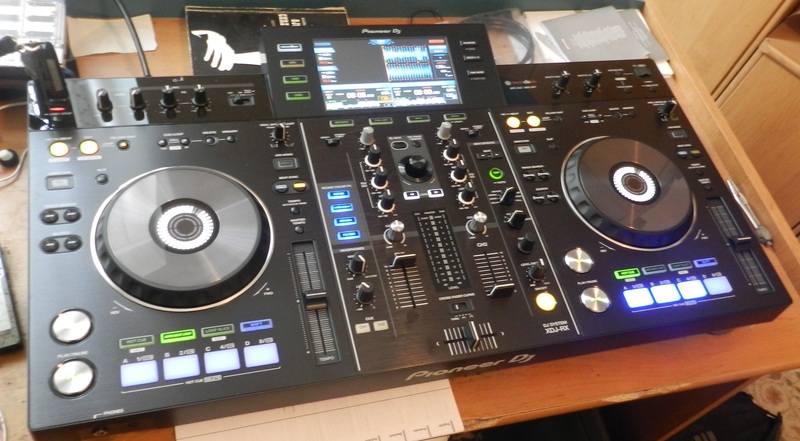 I plan to expand this setup and mix with Push as only controller in the following weeks, later try to connect it to proper DJ players for ultimate pro and live setup. It it’s successful, I’ll reveal the design and explain it in detail. If you follow the blog, you may remember what I said about perfect mix: it’s when listeners can’t tell when one track ends and the other starts. Well, it’s time to raise the bar. The good mix is when I can’t tell it myself. The tracklist for this episode was pretty rushed, but turned out to work well.